I’ve had a few people ask me about my “Family Guy” style profile photo and where I got it done. 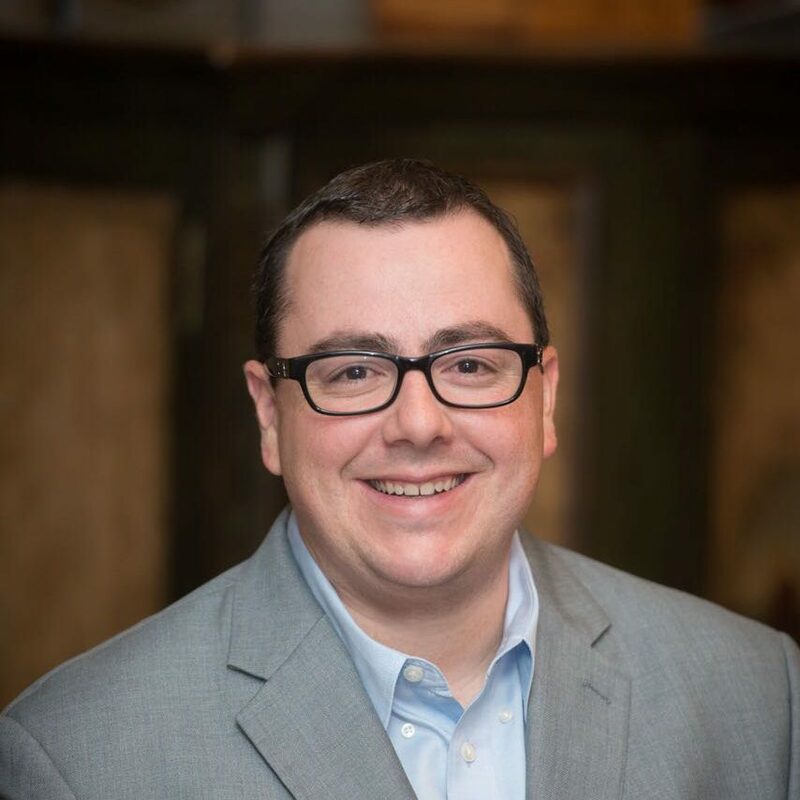 At the time I was looking for something fun/creative to use for a profile photo when I stumbled across the website Fiverr.com. The website is essentially a portal of people willing for do work for $5 (US, with a small service fee tacked on). Services range from people willing the vector-ize and clean up your artwork, do small pieces of translation, record voice overs, and in my case, do caricatures. I found a seller that did Family Guy style portraits (seller Virtues, whom I highly recommend), bought a few gigs (the credits you use to pay for services), uploaded a picture, and waited. 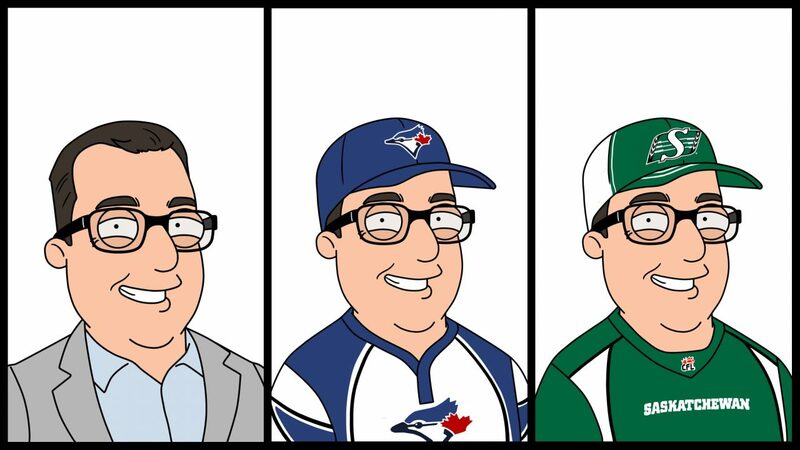 I liked the result so much that I re-ordered in the style of the Jays (my new coed slopitch team as well as my favorite baseball team) and the Saskatchewan Roughriders. Sellers will also offer up-sells, where they will add extra features or customizations to an order for an extra few bucks. 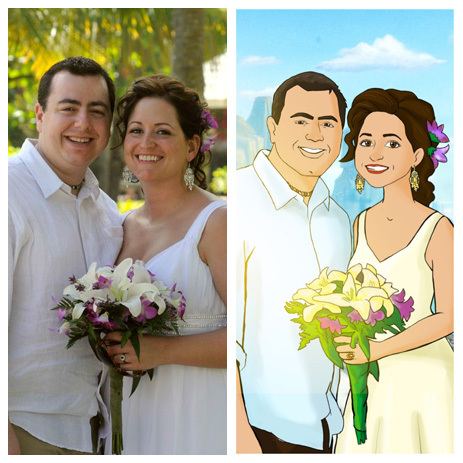 This year for our anniversary I wanted to do something a bit special so I had a Disney style portrait of our wedding photo done for an anniversary card. It was a few up-sell credits from $5 but I was very pleased with the results. It made a fun, unique anniversary gift. So if you are looking for a small little service done for a few dollars, I suggest taking a look at Fiverr.com and I’m sure you will find something neat to try. If you’re confident, I’m confident.